Folks have been talking about the death of trade shows for decades and yet they are still going strong. 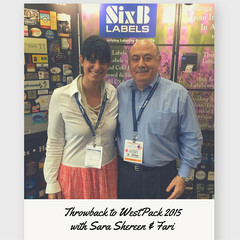 At SixB Labels we like to put the morbidity to the side and make ourselves available for more start-ups, as well as small businesses and global companies, and are going back to one of the largest annual packaging events, WestPack Anaheim, exhibiting in Booth 5154 from February 5-7, 2019 at the Convention Center. Our focus for the 2019 WestPack trade show is essentially to be available for those businesses starting up and/or in a transition phase, unsure what their next step is, who could use some inspiration for their labeling operations, as well as for those businesses whose programs are established and open to another provider path. 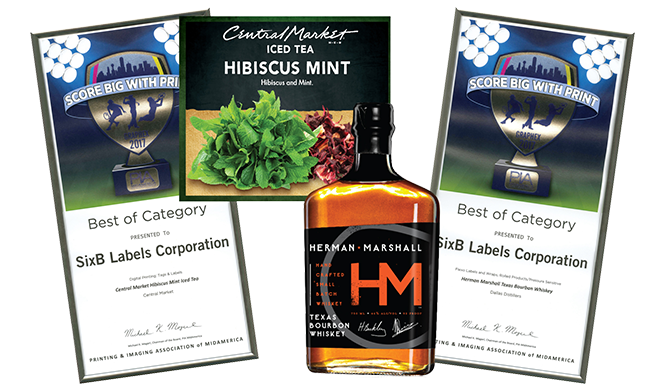 In all scenarios, we are available to be the labeling source for businesses' labeling operations, regardless of their company size or prospective order volume. Anytime someone asks my father what SixB Labels’ minimum order quantity requirement is, he simply responds, “One.” Now he, Fari Bakhshian, SixB Labels Vice President, is being completely genuine with this statement, believing projects with smaller quantities shouldn’t have barriers to high quality design and functionality. 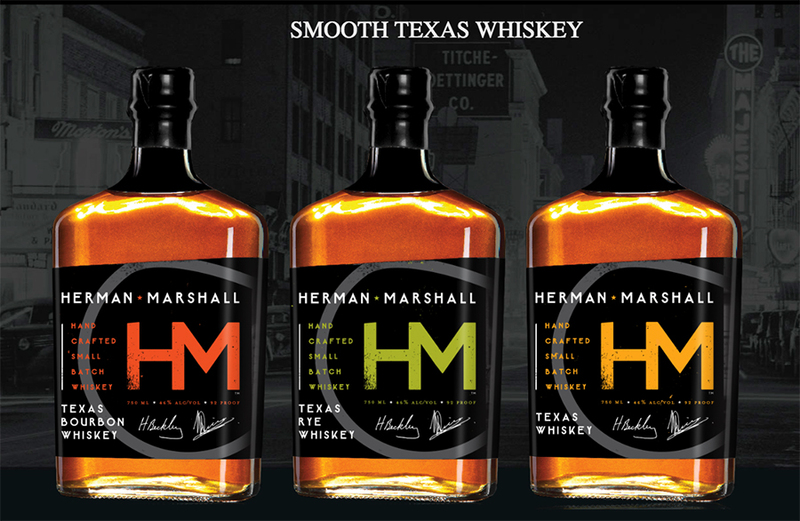 Of course the cost of one label could be the same as 100 labels; and if you really don’t want the other 99, we won’t ship them to you. If past years are any indication, this will probably be the No. 1 judgement question we will be asked during one of the largest annual packaging trade shows, WestPack, taking place at the Anaheim Convention Center, Booth 5474, February 6-8, 2018. 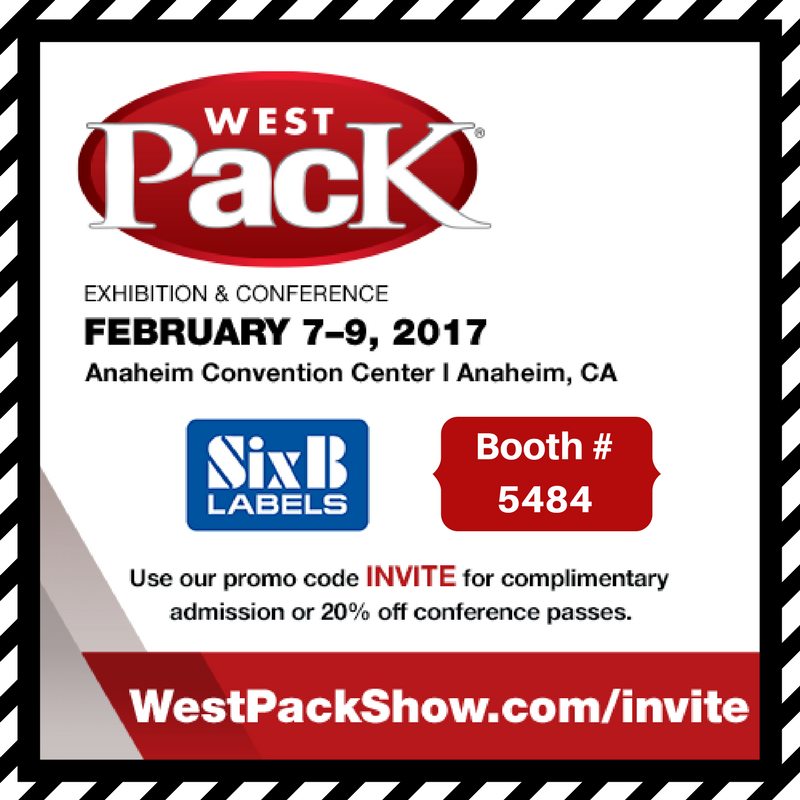 SixB Labels is set for an interactive experience February 7-9 atBooth 5484 during the 2017 WestPack Expoat Anaheim Convention Center. Thousands of packaging professionals are expected to participate in three days of sourcing, networking and education. Simply use our promo code "INVITE" to save 20% off Conference Passes, or claim a complimentary Expo Pass, at www.westpackshow.com/invite. 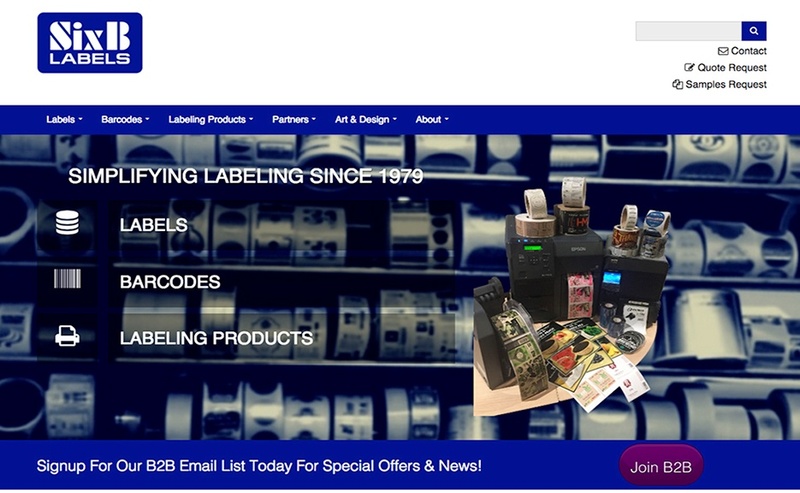 We are beyond happy to announce our latest digital marketing platform and site for SixB Labels. Like much of our story, this new age includes a more customer-centric web site, as well as blog and email marketing content customized to the wants of individuals and our markets. Thank you in advance for taking this journey with us! 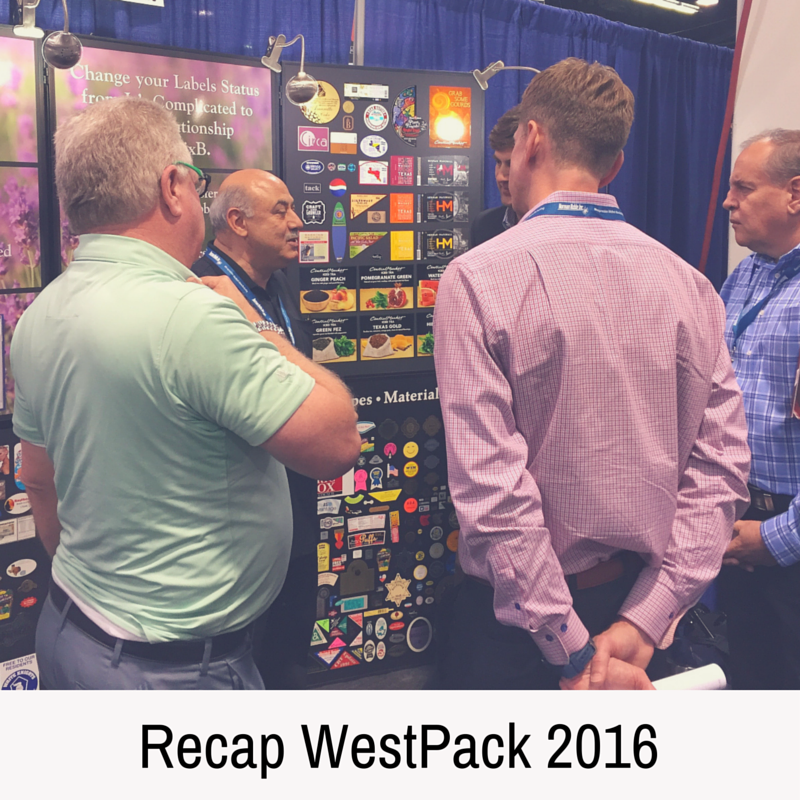 On Monday, February 8th, eager with anticipation, we walked into the Anaheim Convention Center to set up our booth for WestPack 2016, surrounded by colleagues, competitors, forklifts, golf carts and much more. The event, which offered us a medley of surprises, ended up being one of our best years yet with the WestPack family. Any time we meet someone new, and learn about their business and journey, it is a pretty joyous surprise. Well, we had a happy amount of such situations, meeting with businesses in a variety of industries, including Food, Beverage, Cosmetics, Beauty, Packaging, Electronic, Technology, Manufacturing and beyond. We were also given opportunities to connect with such partners as Sato and Epson, and to share their printers with our booth visitors. 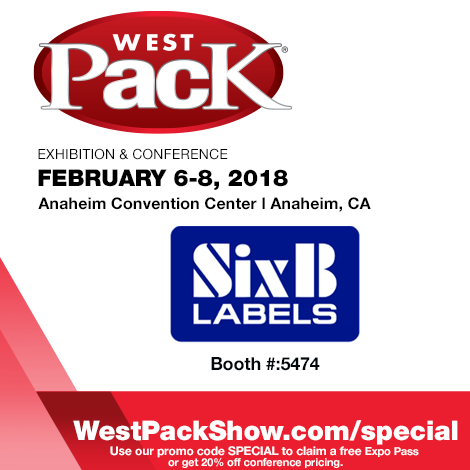 SixB Labels is set for an interactive experience February 9-11, 2016, at Booth 5470, during the WestPack 2016 Expo at the Anaheim Convention Center. 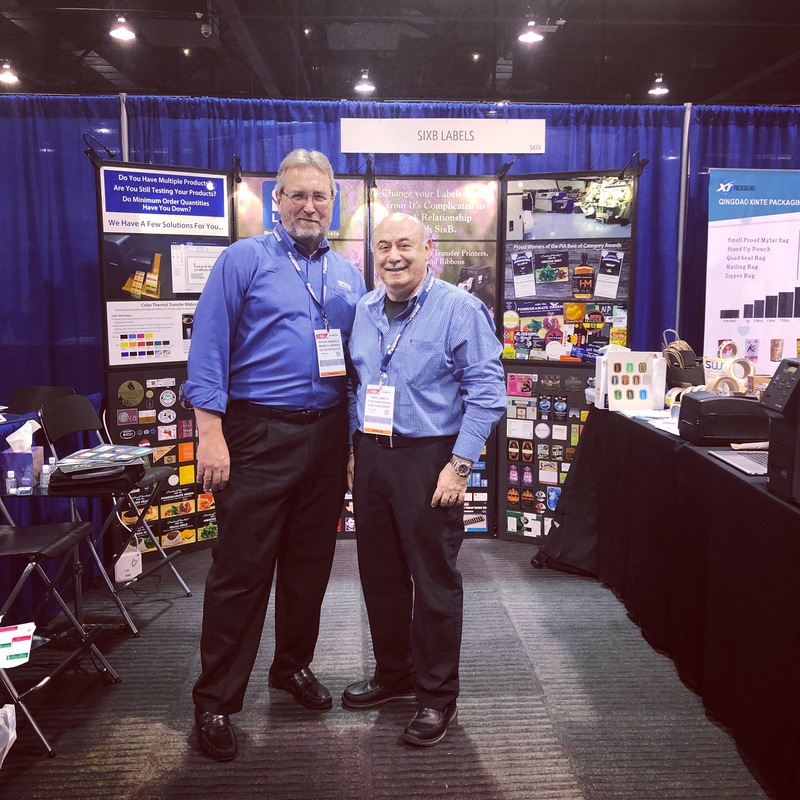 Plans at the SixB Booth include visitor options for: Sato Thermal Transfer and Epson Inkjet Printing Demos, Latest Product Samples & Services Reviews, Giveaways, Six B2B Email Program Sign-Ups, and Online Quote Request Submissions. Contact Us For Your Complimentary Registration Code!